Is more conflict inevitable or could there be a lasting peace that allows the next generation to live without war, for Israelis and Palestinians? The Middle East awaits President Trump's much vaunted peace plan - billed as the 'deal of the century'. But the Palestinians say it was dangerously provocative to declare the disputed city of Jerusalem as the capital, and to move the American Embassy there. A quarter of a century on from the Oslo Accords, what chance is there now of the 'two-state solution', where an independent Palestinian state sits alongside Israel? Having marked the 70th anniversary of its creation, Global Questions travels to Israel to ask what the next 70 years might bring. Ever since its birth, the country has been mired in conflict with the Palestinians and its Arab neighbours. Is further conflict inevitable or could there be a lasting peace that allows the next generation to live without war? 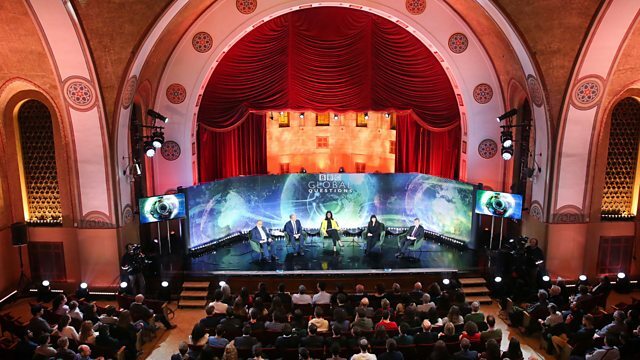 Global Questions is broadcast on TV and radio. Find details on the radio version here.